Share the post "Logistics and its Types: Difference between 1PL, 2PL, 3PL and 4PL"
Known as a massive chain network, a logistics is a detailed organization responsible for carrying out various delivery and shipment related operations. Whenever you buy a product from an online store these logistics are the ones, that takes care of your shipment and makes sure you get the right product in your hand. The rise of e-commerce has made a significant contribution in a world economy and so did these logistics. Without logistics, a concept of e-commerce could have never been possible to be implemented. This blog explains different types of logistics available and how they are unique in their own way. The 1st party logistics to referred to a firm or individual, that has their own cargo, freight and can transport goods and merchandise from one point to another point. They are the specifically the consigner of different goods and products and organizes the transport of products to their respective destinations. It mainly consists of two parties that get benefit from the transaction. The manufacturer or the supplier and the person buying it. There are no other middlemen involved in the whole process. A 2nd party logistics involves transport of goods from a particular transport area of the supply chain like rail, road, sea or air. They are the asset-based carriers and includes like transport using ships of own lease and airlines that they are contracted with. They are mainly used for international transportation of heavy and wholesale goods and for trading purpose as well. A 3rd party logistics is a supply chain that primarily concerns the transportation and delivery of different products but also includes various types of additional services as well. The functions of 3PL include warehousing, terminal operations, customs brokerage, supply chain management and many more. It also includes logistics IT software products and analysis services, for tracking and tracing the delivery status of different products. These 3rd party logistics delivers all the above-mentioned services and also manages various obstacles that come in the way. They specialize in domestic and offshore warehousing and also takes care of your other supply chain management systems. 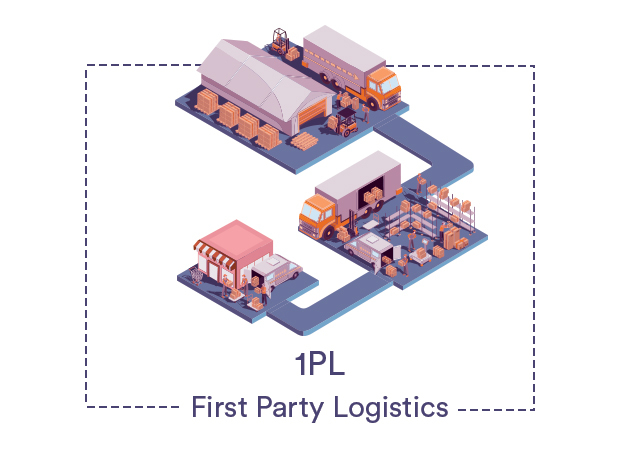 A 4th party logistics is a new concept which is coming into the market, and it involves employing an overseer for managing an entire supply chain of a company. These logistics are often called Lead Logistics provider and they are often treated as a consulting company for many supply chains. They act as a head administrator and takes care of every aspect of these supply chain companies. They are frequently contracted with many 3rd party logistics and for maintaining neutral management and for providing feedback regarding various 3pl logistics services. 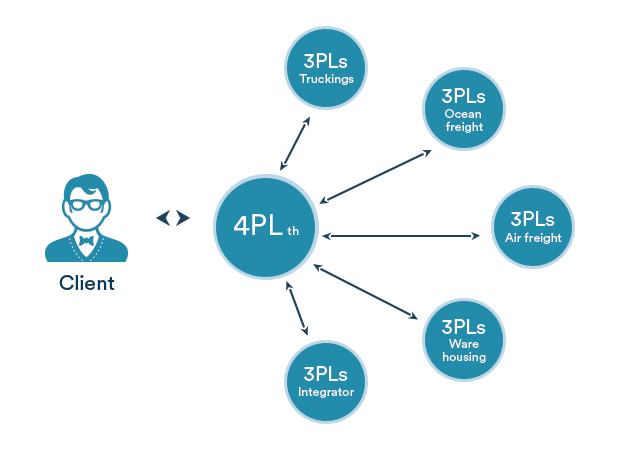 With increased efficiency 4pl is becoming the next big thing in the logistics sector. They provide a single invoice solution and streamlines logistic work like no other. 3rd Party Logistics is the most convenient and well known logistic service in India. They provide more than just shipping and delivery, and some of the major points are listed down below. 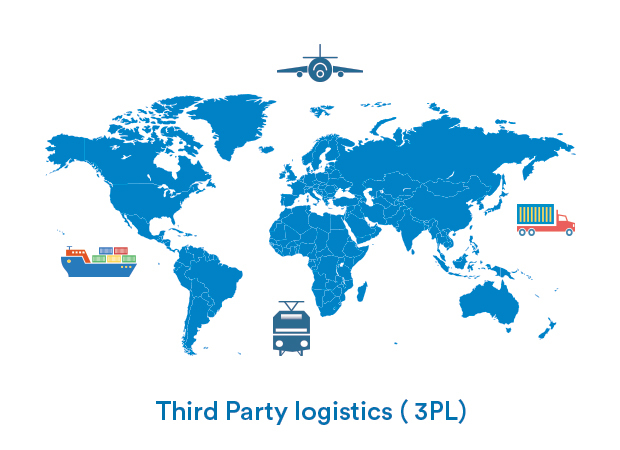 3pl has been ruling the logistics sector for quite a time now, and it has been seen that people who make contracts with third-party firms always saves money on an overall basis. Not only that, but these logistics also meet the technical requirements of the clients. Their expertise is extremely superior that deals with delivery and product shipment on a much affordable cost and totally maintains the time boundary. These logistics not only reduce product return requests but also helps in reducing inventory costs as well. These logistics doesn’t make you trade a fortune while you come on the deal with them. If a company wants to outsource their logistics to a third party firm, then they don’t need to worry about maintaining and managing an inventory. This not only saves money but also reduces capital commitment. These 3pls have their own management and transport systems which reduces the overall maintenance cost. Not only these logistics take care of warehousing, transportation, but also takes care of other operations more efficiently and with more knowledge than the client himself. All these services come under an extremely viable price and allow you to sit and relax while they take care of everything for you. Giving your logistics responsibility to a 3rd party reduces a great amount of a headache. There is no hassle and chaos of taking care of every step necessary for delivering a product. You focus on other important works while this 3rd party does everything for you. The iThink Logistics is a 3rd party logistics in India which came into function back in 2017. The unique concept of this logistics made it the best and the most efficient logistic firm in India. They not only take care of the products also makes sure that everything gets managed the right way. Using the AI-driven technology, the company has its own virtual calling software that confirms on the product descriptions before shipment. Other than this, they also have an NDR team which takes care of the non-delivery of the product. In case of any mishaps this company contacts with the seller, the delivery boy and the buyer to remove all conflicts and delivers the right product at your doorstep. India is growing and the future of logistics is predicted to be extremely bright. These different logistic services are not only bridging the gap between seller and customer but are also proving that the world is really small and all it takes is a little management to connect people all across the world. Previous articleWhy your e-commerce business needs an NDR team? Next articleHow Automation is shaping the future of logistics?